So let’s say you find yourself in the enviable position of taking a vacation to foreign lands, and you find yourself facing a 5 hour flight followed by an 8 hour flight. And somewhere down the line of trip planning you decide that a fair portion of that 13+ transit hours could be spent knitting… and then you wonder about if they even allow knitting needles on flights. So while I had high hopes when I started of actually wearing my Luscious Sweater on this trip, its time to admit that the project will need to wait until I return. I did finish up the main drape section! So now its time to pull out some back up plans. A project that won’t be too big so it only takes a couple balls… yet big enough to keep you occupied for several hours on a plane and during vacation down time. 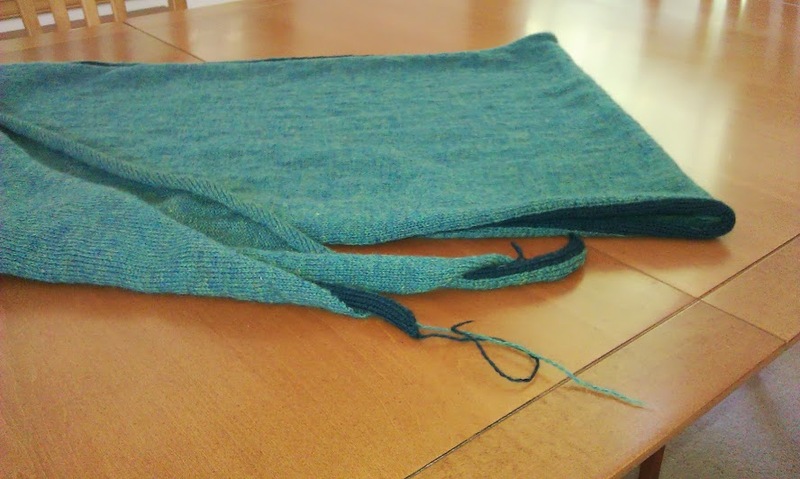 My solution… a shawl or two! 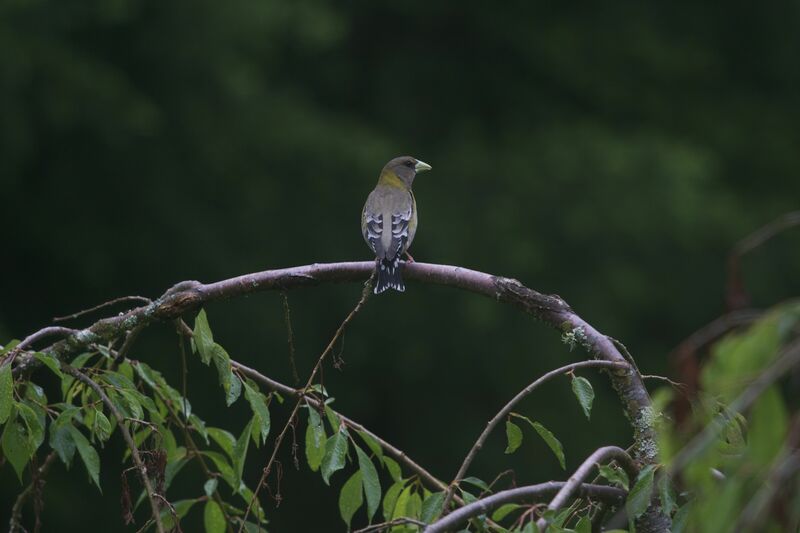 Evening Grosbeaks are primarily monogamous, so Fellas if you like it you better put a chirp on it. 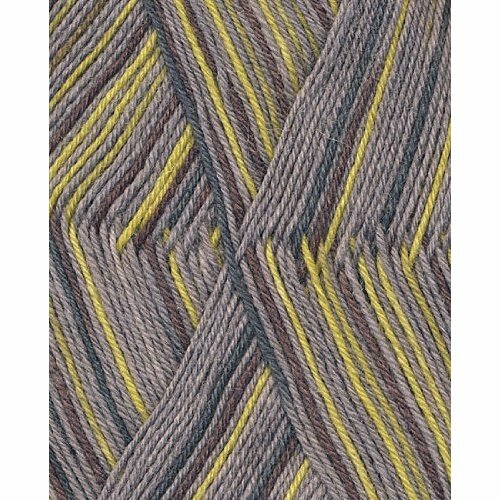 I am hoping that this Rock Candy Colorway by Sockease will do the trick. And my plan is to make it into a shawl called Gamayun Bird out of it. Since I’m a bit of an optimist in my knitting (hence the unfinished aforementioned sweater) I also bought some other lace yarn for another potential project… but you will have to wait until I cast that on for an update. 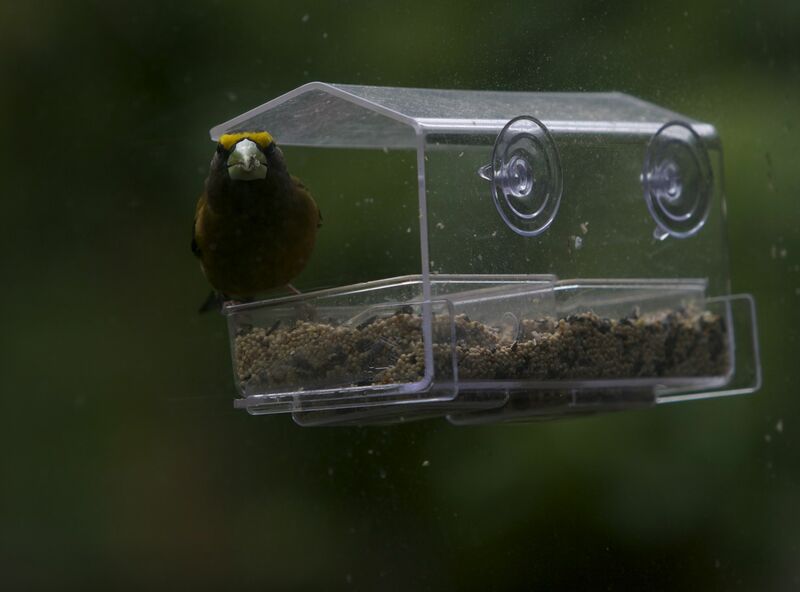 The Grosbeak males are a much more vivid yellow. *All that stuff about the Postman… well let’s be honest, earlier this month we received an envelope with no stamp, no return address, and the wrong zipcode. The vast majority of the time they certainly get it right!